A Self-Help MP is suspected of involvement in reception of money from Kurchenko. 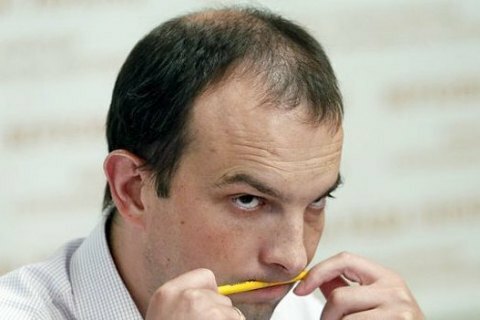 Members of the Verkhovna Rada Committee on Prevention and Combating Corruption recognized the work of the head of the committee, MP Yegor Sobolev (Self-Help) unsatisfactory and voted to ask the parliament to dismiss him from the post. The resolution was supported by 12 out of 24 committee members. Some members did not attend the meeting. On Tuesday, Prosecutor-General Yuriy Lutsenko said speaking in the Verkhovna Rada that an individual named Nazar, who was arrested with the evidence of Saakashvili's financing y fugitive Ukrainian oligarch Serhiy Kurchenko. Lutsenko said Nazar is a permanent consultant to the of the anti-corruption committee. This and the delays in the nomination of a candidate for auditors of the National Anti-Corruption Bureau were the reasons for the initiative of Sobolev's dismissal, by BPP and People's Front lawmakers. Sobolev responded that he wanted to prevent the nomination of a candidate controlled by the president. He also denied any knowledge of Nazar and added that the committee does not employ any consultants. Committee on Prevention and Combating Corruption is one of the most important parliamentary committees. Its main task is checking legislative bills for corruption component. NABU director may be dismissed only upon conclusions of an outside audit. Yegor Sobolev is one of the organizers of protests outside the Verkhovna Rada that started on 17 October.